Illuminate any project with our versatile and powerful LED Downlight. Shining at 35 watts of power, our LED ceiling light features a diamond shaped mirror reflector which creates an intense, yet uniform lighting environment. Built with the highest quality LED chips from Citizen Japan, this LED Downlight puts the power in your hands with its dimmable functionality. 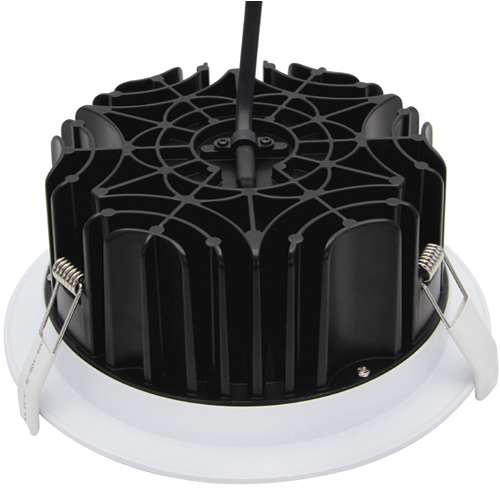 Available in four sizes and power ratings stabilized with a top of the line aluminum heatsink, this LED ceiling light is designed to meet any demanding environment that your work throws at you. When you have our LED Downlight, you’ll be certain you’ve got the right light for the job.